It's time for another edition of #RedCoatTuesday! Now, I have to just admit one teensy, tiny little detail to you. I haven't watched last week's episode of Pretty Little Liars yet. I know, I know. But here's something even more shocking. I haven't watched the entire last season. (I'll wait for the gasps to subside.) I watched the first four seasons ferociously and voraciously on Netflix -- really, I got through all of them in about 3 weeks -- but the most recent season isn't on there yet. And I don't know whether I should wait until I'm caught up to start watching the new season! But, to be perfectly honest, I already know the big stuff that happened, so I think I'm just going to bite the bullet and watch the current season. Okay, now that THAT'S out of the way ... I can tell you about the red product that I'm totally loving right now! Enter The Body Shop Born Lippy Pomegranate Lip Balm. But it's really the balm itself that has me head over heels. This balm doesn't feel waxy, sticky or greasy. It's moisturizing, it's nourishing, it tastes fabulous ... and it leaves just the slightest hint of color upon your lips to really make them pop. Born lippy? I certainly would want to be with this lip balm by my side. The Body Shop Born Lippy Pomegranate Lip Balm retails for $6 at thebodyshop.com. 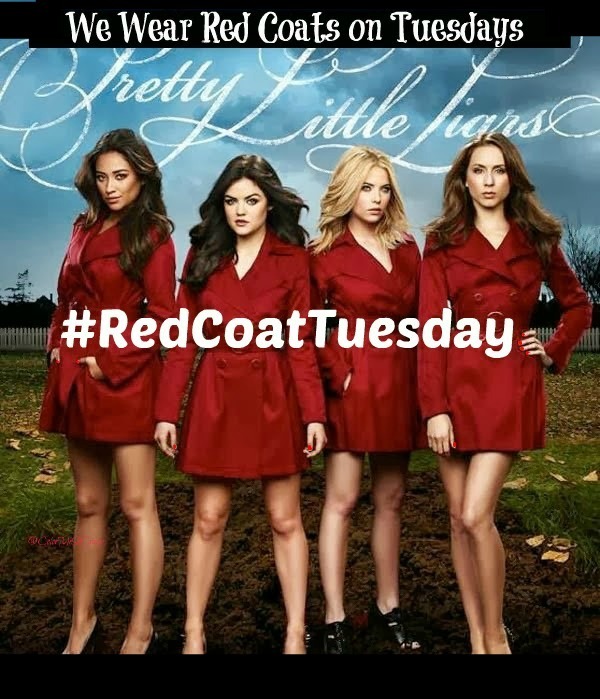 Be sure to check out the way my fellow bloggers are getting into #RedCoatTuesday, too! Aww it's so cute! I love it! This sounds like a really really nice lip balm! I'll so have try these- sounds great! Really nice and it's only $6!! !